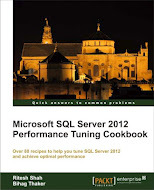 Note: I have started writing articles on Microsoft Cloud technology (a.k.a Windows Cloud) recently. If you are new to Microsoft Cloud Technology and wanted to learn it from scratch, have a look at following three articles first. Actually I have received so many requests, through different media, to give detail knowledge of SQL Azure but before I shall start demonstration of SQL Azure, it was mandatory to make everybody understand about, what Cloud is? And what is the action of Microsoft on Cloud? Above three articles was for the purpose of giving cloud details only. Now, I am going to actually start SQL Azure introduction. 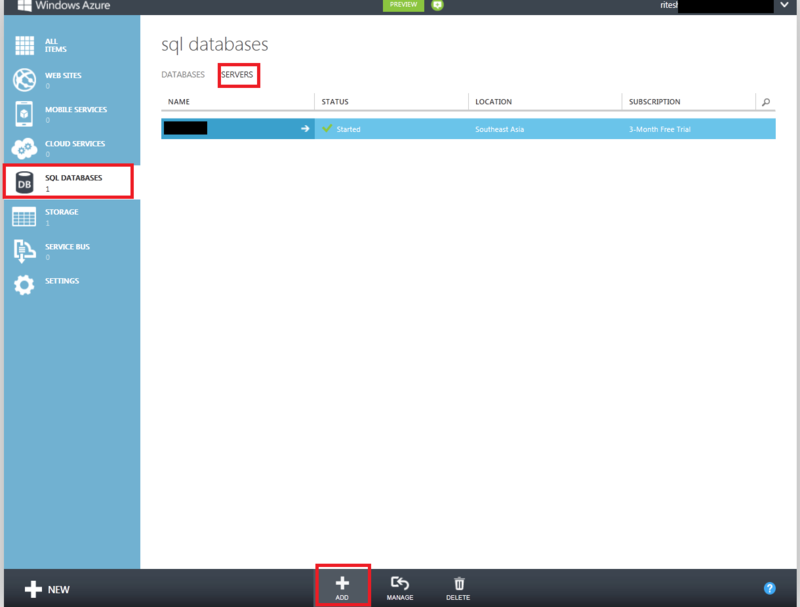 SQL Azure is the relational database, built on SQL Server technology, hosted on Windows Azure Platform. SQL Azure is designed to handle heavy workloads by load balancing, replication, failover clustering, and scaling out, which are all automatically managed at the Microsoft’s data center. 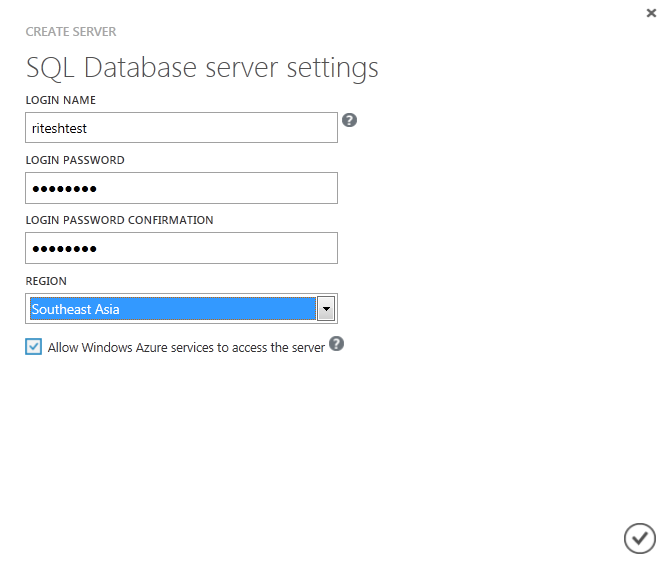 If you are ready with WindowsAzure account (If you don’t have, get one for free, details given here), let us create one Server and database to start work with relational database technology as known as SQL Azure. 2.) Once you login to above given URL, click on “SQL Databases” -> Servers -> ADD as marked with RED rectangle in following screen capture. 4.) Once you are done with creation of Server, click on “Databases” link right before “Servers” link and click on “Add” button. 6.) We have just created “ExtremeTest” database in step # 5 above, you will get database name along with few other details in one row, click on database name which will open screen same as given below. 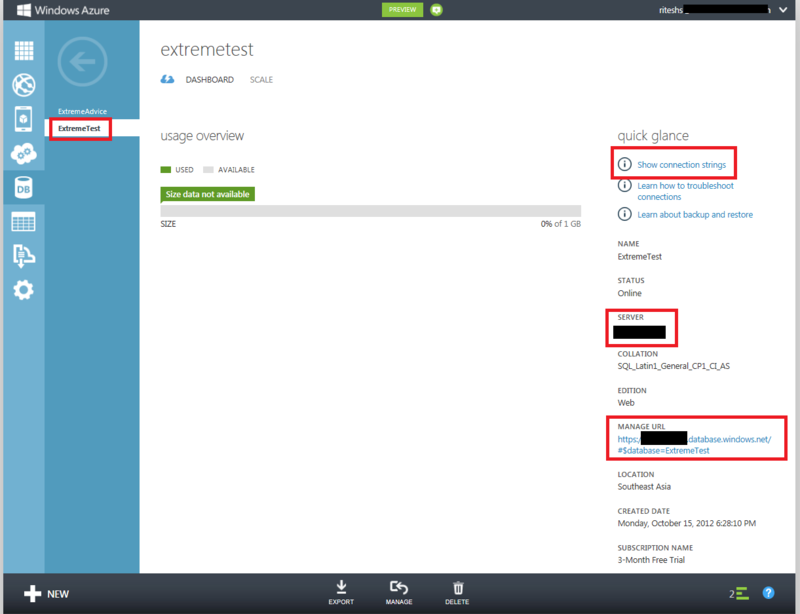 You can find you connection string (to use in web application) from there and manage URL to manage “ExtremeTest” database. 7.) Click on “Manage URL” which will open web SQL Azure management studio ( must have Silverlight in your web browser). 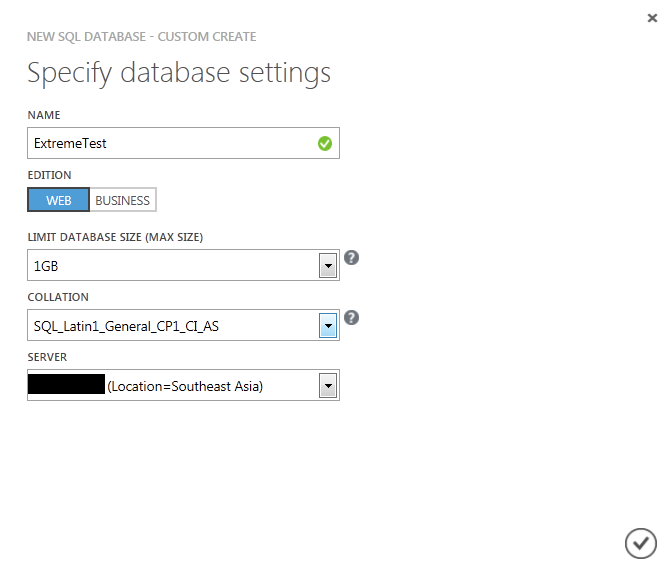 Provide your username/password you have created in Step # 3 and you will be redirected to web SQL Azure Management studio. (You must have your IP in “Allowed IP Addresses” list for the server you are trying to connect). 8.) 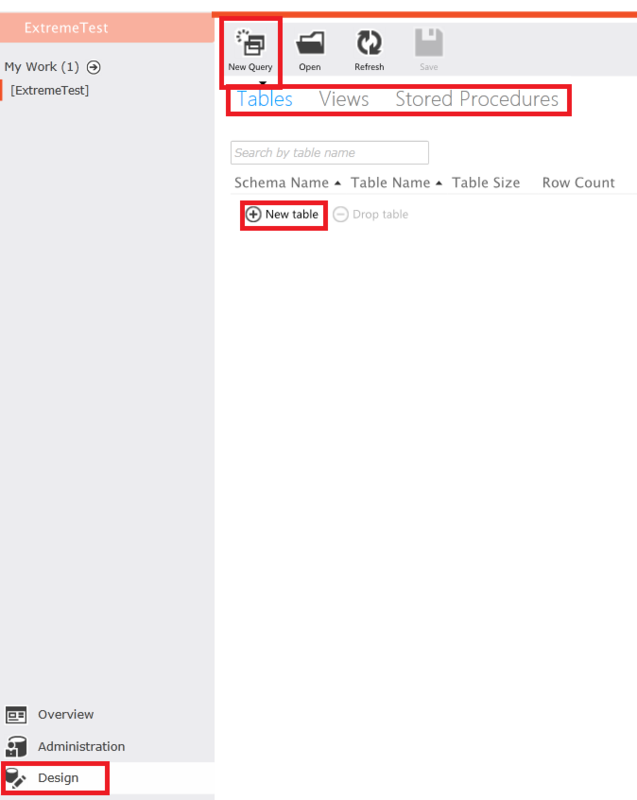 As soon as you login to your server for managing database, first thing you will look for is to create table/view/stored procedure. So click on “Design” button at left-bottom corner (Marked with red rectangle in following screen capture) and you will get option to make it from web UI or from query by “New Query” button. This entry was posted in Create SQL Azure Database, Microsoft Cloud, SQL Azure, Windows Azure and tagged Create Azure Server, Create SQL Azure Database, Microsoft Cloud, SQL Azure, Windows Azure on October 18, 2012 by Riteshshah.